DNA is the warehouse of genetic information in each living cell, and its integrity and stability are essential to life. This stability and integrity is maintained by DNA damage repair machinery. In a study published in Clinical Cancer Research, a research team at Baylor College of Medicine found that defects in selective DNA damage repair pathways can drive endocrine treatment resistance in a subset of estrogen receptor positive breast cancer patients. Endocrine treatment-resistant estrogen receptor positive (ER+) breast cancer has historically been extremely difficult to detect at the time of diagnosis, although as many as a fourth of ER+ tumors go on to be identified as resistant to this standard-of-care therapy. By capturing the DNA damage repair deficiency in early stage patients, the course of treatment can be more immediately adjusted and targeted to this type of breast cancer. "We knew that there must be other, so far unrecognized, pathways contributing to endocrine therapy response, and by using patient data, we were able to identify a new class of resistance driver that could enable oncologists to identify endocrine treatment-resistant ER+ patients at the time of diagnosis by looking at DNA damage repair defects," said Dr. Svasti Haricharan, assistant professor in the Lester and Sue Smith Breast Center, part of the Dan L Duncan Comprehensive Cancer Center at Baylor, and corresponding author on the paper. "This paper also reflects that access to patient data in research is crucial in finding alternative pathways and driving new therapies." "Coming from a translational lab, my research focuses on contributing toward bettering the lives of breast cancer patients. We are relentlessly working on understanding how the genomic and transcriptomic makeup of patients make them good or bad responders to endocrine therapy," said Dr. Meenakshi Anurag, instructor and onco-informatics investigator in the Lester and Sue Breast Center at Baylor and first author on the paper. "This study provided a perfect platform to understand a part of the bigger puzzle of why some patients do not respond to endocrine therapy." This research has the potential to contribute significantly to breast cancer precision medicine, with both clinical and biological implications. The research team developed a novel computer-driven method to identify damage repair deficiency, and are in the process of filing a patent for the innovation as a result of this study. "We've just seeing the tip of the iceberg. 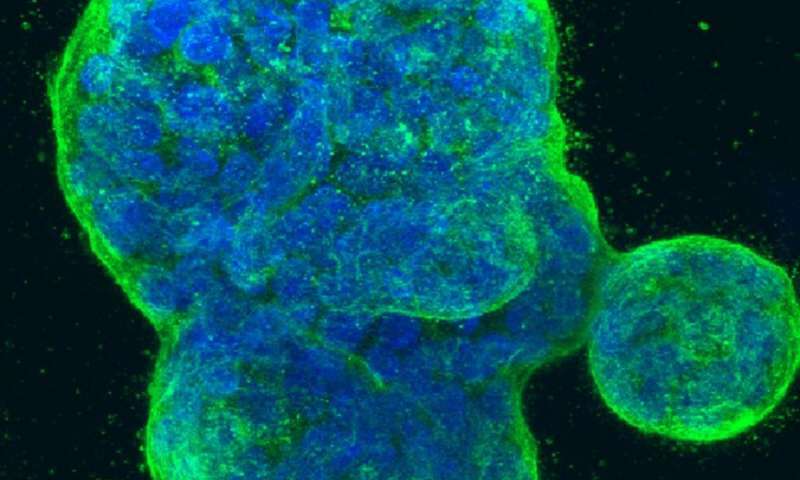 This research has huge potential for the future and shows how thinking outside the box can result in finding new pathways to recognize treatment resistant breast cancer early on," Haricharan said.